Data Mining and Machine Learning. AI and Big Data Analytics. Text Analytics. Preference Learning. Analysis of Discrete Choice and Ranking Data. Statistical Methods in Finance. FinTech. Statistical Trading. I am seeking a post-doctoral fellow in artificial intelligence (AI). The focus of this position will be the development and implementation of a novel AI system for the detection and characterization of early liver cancer. The work will involve both methodological research and practical implementation, in collaboration with statistics and medicine faculties. The available position will start in May 2019 for 2 years. Candidates should have a PhD degree in statistics, computer science or related field at the start of the postdoc; excellent communication skills (written and oral) using English language; strong computing skills, and experience in machine learning and deep learning (preferable). If you are interested or know of qualified candidates that are interested in this topic, please encourage them to submit their CV, the names of two references, and a cover letter to me at plhyu@hku.hk. Alvo, M. and Yu, P.L.H.(2018). A Parametric Approach to Nonparametric Statistics. Springer. Alvo, M. and Yu, P.L.H.(2014). Statistical Methods for Ranking Data. Springer. 林建、楊良河(2013). 計出你的投資勝算. 天窗出版(信報系列), 240 頁.
Tsang, A.C.O., You, J., Li, L.F., Tsang, F.C.P., Woo, P.P.S., Tsui, E.L.H., Yu, P.L.H. and Leung, G.K.K. Burden of large vessel occlusion stroke and the service gap of thrombectomy: a population-based study using a territory-wide public hospital system registry. To appear in International Journal of Stroke. Xu, H., Yu, P.L.H. and Alvo, M., Detecting change-points in the stress-strength reliability P(X < Y). To appear in Applied Stochastic Models in Business and Industry. Han, Y, Yu, P.L.H. and Mathew, T., Shrinkage estimation of Kelly portfolios. To appear in Quantitative Finance. Yu, P.L.H. and Xu, H., Rank aggregation using latent-scale distance-based models. To appear in Statistics and Computing. Qian, Z. and Yu, P.L.H. Weighted distance-based models for ranking data using the R package rankdist. To appear in Journal of Statistical Software. Gao, J., Cheng, Q. and Yu, P.L.H.(2019). Detecting comments showing risk for suicide in YouTube. In Arai, K., Bhatia, R. and Kapoor, S. (Eds. ): Proceedings of the Future Technologies Conference (FTC) 2018, Volume 1, 385-400. Law, K.F., Li, W.K. and Yu, P.L.H.(2018). A single-stage approach for cointegration-based pairs trading. Finance Research Letters. 26(Sep), 177-184. Alvo, M., Lai, T.L. and Yu, P.L.H. (2018). Parametric embedding of nonparametric inference problems. Journal of Statistical Theory and Practice, 12(1), 151-164. Xu, H., Alvo, M. and Yu, P.L.H. (2018). Angle-based models for ranking data. Computational Statistics and Data Analysis, 121, 113-136. Yu, P.L.H., Li, W.K. and Ng, F.C. (2017). The generalized conditional autoregressive Wishart model for multivariate stochastic volatility. Journal of Business and Economic Statistics, 35(4), 513--527. Zhu, K., Li, W.K. and Yu, P.L.H. (2017). Buffered autoregressive models with conditional heteroscedasticity: An application to exchange rates. Journal of Business and Economic Statistics, 35(4), 528--542. Xin, L., Yu, P.L.H. and Lam, K. (2017). Pricing an accumulator with continuous or discrete barrier. Journal of Derivatives, 24(4), 93-107. Yu, P.L.H., Wang, X. and Zhu, Y. (2017). High dimensional covariance matrix estimation by penalizing the matrix-logarithm transformed likelihood. Computational Statistics and Data Analysis, 114(1), 12-25. Yu, P.L.H., Mathew, T. and Zhu, Y. (2017). A generalized pivotal quantity approach to portfolio selection. Journal of Applied Statistics, 44(8), 1402-1420. Yu, P.L.H. and Lu, R. (2017). Cointegrated market-neutral strategy for basket trading. International Review of Economics and Finance, 49, 112-124. Yu, P.L.H., Lee, P.H., Cheung, S.F., Lau, E.Y.Y., Mok, D.S.Y. and Hui, H.C. (2016). Logit tree models for discrete choice data with application to advice-seeking preferences among Chinese Christians. Computational Statistics. 31(2), 799-827. Ng, F.C., Li, W.K. and Yu, P.L.H. (2016). Diagnostic checking of the vector multiplicative error model. Computational Statistics and Data Analysis. 94(2), 86-97. Yung, E.H.K., Lai, L.W.C. and Yu, P.L. H. (2016). Public decision making for heritage conservation in a property state: a Hong Kong empirical study, Habitat International. 53, 312-319. Lo, P.H., Li, W.K., Yu, P.L.H. and Li, G.D. (2016). On buffered threshold GARCH model. Statistica Sinica, 26(4), 1555-1567. Lam, Y., Choy, S. T. and Yu, P. L.H. (2016). A sequential sampling plan for exponential distribution. Sequential Analysis, 35(3), 331-346. Yu, P.L.H. and Tang, Y. (2015). Bayesian finite mixture models for probabilistic context-free grammars. In A. Gelbukh (Ed. ), Proceedings Part I of CICLing 2015, LNCS 9041, 201-212. Li, G.D., Guan, B., Li, W.K. and Yu, P.L.H. (2015). Hysteretic autoregressive time series models. Biometrika, 102(3), 717-723. Wang, F., Yu, P.L.H. and Cheung, D.W. (2014) Combining technical trading rules using particle swarm optimization. Expert Systems with Applications, 41(6), 2016-2026. Yu, P.L.H., Li, W.K. and Ng, F.C. (2014). Formulating hypothetical scenarios in correlation stress testing via a Bayesian framework. North American Journal of Economics and Finance, 27, 17-33. Lim, H.K., Li, W.K. and Yu, P.L.H. (2014). Zero-inflated Poisson regression mixture model. Computational Statistics and Data Analysis, 71, 151-158. Zhu, K., Yu, P.L.H. and Li, W.K. (2014). Testing for the buffered autoregressive processes. Statistica Sinica, 24(2), 971-984. Chan, J.S.K., Wan, W.Y. and Yu, P.L.H. (2014). A Poisson geometric process approach for predicting dropout and committed first time blood donors. Journal of Applied Statistics, 41(7), 1486-1503. Yu, P.L.H. and Li, G.D. (2014). Comment to Discussion Paper "Principal volatility component analysis" by Hu, Y. and Tsay, R.S., Journal of Business and Economic Statistics, 32(2), 166-167. Ng, F.C., Li, W.K. and Yu, P.L.H. (2014). A Black-Litterman approach to correlation stress testing. Quantitative Finance, 14(9), 1643-1649. Wang, Fei, Yu, P.L.H. and Cheung, D.W. (2014). Combining Technical Trading Rules Using Parallel Particle Swarm Optimization based on Hadoop. In Proceedings of IEEE WCCI2014, 3987-3994. Lee, P.H. and Yu, P.L.H. (2013). An R Package for Analyzing and Modeling Ranking Data. BMC Medical Research Methodology, 13(65), 11 pages. Yung, E.H.K., Yu, P.L.H. and Chan, E.H.W. (2013). Economic valuation of historic properties: Review and recent developments. Property Management, 31(4), 335-358. Yu, P.L.H., Lee, P.H. and Wan, W.M. (2013). Factor analysis for paired ranked data with application on parent-child value orientation preference data. Computational Statistics, 28, 1915-1945. Gao, C.F., Wu, X.J. and Yu, P.L.H. (2013). An algorithm of fuzzy collaborative clustering based on kernel competitive agglomeration. Journal of Computers, 8(10), 2623-2631. Xin, L., Yu, P.L.H. and Lam, K. (2013). An application of CUSUM chart on financial trading. In Proceedings of the 9th International Conference on Computational Intelligence and Security (CIS), IEEE, 178-181. Chan, J.S.K., Lam, C.P.Y., Yu, P.L.H., Choy, S.T.B. and Chen, C.W.S. (2012). A Bayesian conditional autoregressive geometric process model for range data. Computational Statistics and Data Analysis, 56(11), 3006-3019. Zhao, J.H., Yu, P.L.H., Lei, S. and Li, S.L. (2012). Separable linear discriminant analysis. Computational Statistics and Data Analysis, 56(12), 4290-4300. Chen, C.W.S., Lin, S. and Yu, P.L.H. (2012). Smooth transition quantile capital asset pricing models with heteroscedasticity. Computational Economics, 40(1), 19-48. Zhao, J.H., Yu, P.L.H. and Kwok, J.T. (2012). Bilinear probabilistic principal component analysis. IEEE Transactions on Neural Networks and Learning Systems, 23(3), 492-503. Lee, P.H. and Yu, P.L.H. (2012). Mixtures of weighted distance-based models for ranking data with applications in political studies. Computational Statistics and Data Analysis, 56(8), 2486-2500. Wang, F., Yu, P.L.H. and Cheung, D.W. (2012). Complex stock trading strategy based on particle swarm optimization. In Proceedings of IEEE Computational Intelligence for Financial Engineering & Economics 2012, 234-239. Cheng, X., Yu, P.L.H. and Li, W.K. (2011). Basket trading under co-integration with the logistic mixture autoregressive model. Quantitative Finance, 11, 1407-1419. Cheng, X., Li, W.K., Yu, P.L.H., Zhou, X., Wang, C. and Lo, P.H. (2011). Modeling threshold conditional heteroscedasticity with regime-dependent skewness and kurtosis. Computational Statistics and Data Analysis, 55, 2590-2604. Tian, G.L., Ng, K.W. and Yu, P.L.H. (2011). A note on the Binomial model with simplex constraints. Computational Statistics and Data Analysis, 55(12), 3381-3385. Knapp, G., Xu, D. and Yu, P.L.H. (2011). On some aspects of inference about effect sizes. International Journal of Statistical Sciences, 11, 59-74. Yu, P.L.H., Wu, E.H.C. and Li, W.K. (2010). Financial data mining using flexible ICA-GARCH models. In Shawkat Ali, A B M and Xiang, Yang (eds). Dynamic and Advanced Data Mining for Progressing Technological Development: Innovations and Systemic Approaches. Chapter 11, 255-272. Information Science Reference. Lee, P.H. and Yu, P.L.H. (2010). Distance-based tree models for ranking data. Computational Statistics and Data Analysis, 54, 1672-1682. Lee, P.H. and Yu, P.L.H. (2010). Mixtures of weighted distance-based models for ranking data. Proceedings of COMPSTAT’2010, 517-524, Springer. Zhao, J., Yu, P.L.H. and Li, S. (2010). Separable two-dimensional linear discriminant analysis. Proceedings of COMPSTAT’2010, 597-604, Springer. Lam, K., Yu, P.L.H. and Lee, P.H. (2010). A margin scheme that advises on when to change required margin. European Journal of Operational Research, 207, 524-530. Yu, P.L.H., Wan, W.M. and Lee, P.H. (2010). Decision tree modelling for ranking data. In Furnkranz, J. and Hullermeier, E. (eds.) Preference Learning, 83-106, Springer-Verlag. Yu, P.L.H., Li, W.K. and Jin, S. (2010). On some models for value-at-risk. Econometric Reviews, 29, 622-641. Lam, K., Yu, P.L.H. and Xin, L. (2009). Accumulator pricing. (Presented in IEEE/IAFE Conference on Computational Intelligence for Financial Engineering), In Proceedings of CIFEr, 72-79. Kwok, S.S.M., Li, W.K. and Yu, P.L.H. (2009). The autoregressive conditional marked duration model: statistical inference to market microstructure. Journal of Data Science, 7, 189-201. Cheng, X., Yu, P.L.H. and Li, W.K. (2009). On a dynamic mixture GARCH model. Journal of Forecasting, 28, 247-265. Zhao, J.H. and Yu, P.L.H. (2009). A note on variational Bayesian factor analysis. Neural Networks, 22(7), 988-997. Wu, E.H.C., Yu, P.L.H. and Li, W.K. (2009). A smoothed bootstrap test for independence based on mutual information. Computational Statistics and Data Analysis, 53(7), 2524-2536. Zhao, J.H., Yu, P.L.H. and Jiang, Q. (2008). ML estimation for factor analysis: EM or non-EM? Statistics and Computing, 18(2), 109-123. Zhao, J.H. and Yu, P.L.H. (2008). Fast ML estimation for the mixture of factor analyzers via an ECM algorithm. IEEE Transactions on Neural Networks, 19(11), 1956-1961. Yu, P.L.H., Wan, W.M. and Lee, P.H. (2008). Analyzing ranking data using decision tree. (Presented in ECML/PKDD 2008 - Workshop on Preference Learning). In Proceedings of Preference Learning. Furnkranz, J. and Hullermeier, E. (eds. ), 139-156. Hui H.C.C., Chiu W.C.K., Yu P.L.H., Cheng K. and Tse H. (2007). The effects of service climate and the effective leadership behaviour of supervisors on frontline employee service quality: A multilevel analysis, Journal of Occupational and Organizational Psychology, 80, 151-172. Yu, P.L.H., Chung, K.H., Lin, C.K., Chan, J.S.K. and Lee, C.K. (2007). Predicting potential drop-out and future commitment for first time donors based on first one and a half years donation patterns: the case in Hong Kong Chinese donors. Vox Sanguinis, 93, 57-63. Fung, J.K.W. and Yu, P.L.H. (2007). Order imbalance and the dynamics of index and futures prices. Journal of Futures Markets, 27(12), 1129-1157. Wu, E.H.C., Yu, P.L.H. and Li, W.K. (2006). An Independent component ordering and selection procedure based on the MSE criterion. In The 6th International Conference on Independent Component Analysis and Blind Source Separation (ICA2006), Lecture Notes in Computer Science, Volume 3889, (J. Rosca et al. (Eds. )), 286-294. Springer-Verlag: Berlin. Wu, E.H.C. and Yu, P.L.H. (2006). Pattern Recognition of the term structure using independent component analysis. International Journal of Pattern Recognition and Artificial Intelligence, 20(2), 173-188. Wu, E.H.C. and Yu, P.L.H. (2006). ICLUS: A robust and scalable clustering model for time series via independent component analysis. International Journal of Systems Science. 37(13), 987-1001. Wu, E.H.C., Yu, P.L.H. and Li, W.K. (2006). Value at risk estimation using ICA-GARCH models. International Journal of Neural Systems, 16(5), 371-382. Fung, W.K. and Yu, P.L.H. (2006). New-based learning in Statistics. (Referred) Proceedings of the 7th International Conference on Teaching Statistics. Salvador, Bahia, Brazil, 2-7 July 2006. Yu, P.L.H. (2006). Integrating statistics and information technology into an investment risk course. (Non-referred) Proceedings of the 7th International Conference on Teaching Statistics. Salvador, Bahia, Brazil, 2-7 July 2006. So, M.K.P. and Yu, P.L.H. (2006). Empirical analysis of GARCH models in Value at Risk estimation. Journal of International Financial Markets, Institutions & Money, 16(2) 180-197. Yu, P.L.H., Chan, J.S.K. and Fung, W.K.(2006). To learn a statistics lesson from SARS. American Statistician, 60(1), 81-91. Chan, J.S.K., Yu, P.L.H., Lam, Y. and Ho, A.P.K.(2006). Modeling SARS data using threshold Geometric Process. Statistics in Medicine, 25(1), 1826-1839. Yu, P.L.H., Lam, K.F. and Lo, S.M. (2005). Factor analysis for ranked data with application to a job selection attitude survey. Journal of Royal Statistical Society. Series A. 168(3), 583-597. Li, W.K., Yu, P.L.H. and Tse, M.K.S. (2005). A vulnerability index for predicting extreme market events in Hong Kong. International Journal of Applied Economics. 2(2), 31 pages. Wu, E.H.C. and Yu, P.L.H. (2005). Volatility modelling of multivariate financial time series by using ICA-GARCH models. In Intelligent Data Engineering and Automated Learning - IDEAL 2005, Lecture Notes in Computer Science, Volume 3578, (M. Gallagher, J. Hogan, and F. Maire (Eds)), 571-579. Springer-Verlag: Berlin. Wu, E.H.C. and Yu, P.L.H. (2005). Independent component analysis for clustering multivariate time series data. In Advanced Data Mining and Applications, Lecture Notes in Artificial Intelligence, Volume 3584, (X. Li, S. Wang, and Z.Y. Dong (Eds)), 474-482. Springer-Verlag: Berlin. Li, W.K. and Yu, P.L.H.(2003). On the residual autocorrelation of the autoregressive conditional duration model. Economics Letters. 79(2), 169-175. Leung, G.M., Yu, P.L.H., Wong, I.O.L., Johnston, J.M. and Tin, K.Y.K. (2003). Incentives and barriers that influence clinical computerization in Hong Kong: a population-based physician survey. Journal of American Medical Informatics Association. 10, 201-212. Pang, S.M., Sawada, A., Konishi, E., Olsen, D.P., Yu, P.L.H., Chan, M.F. and Mayumi, N. (2003). A comparative study of Chinese, American and Japanese nurses' perception of ethical role responsibilities. Nursing Ethics. 10(3), 295-311. Yu, P.L.H., Lam, K. and Ng, S.H. (2003). Automating technical analysis. In Advances in Data Mining and Modeling: Hong Kong 27 - 28 June 2002. (Edited by Wai-Ki Ching & Michael Kwok-Po Ng), World Scientific. 85-96. Yu, P.L.H. (2003). Statistical modelling of ranking data. In Computational Mathematics and Modeling. (Y. Lenbury, N.V. Sanh, Y.H. Wu and B. Wiwatanapataphee Eds.). 319-326. Fung, W.K. and Yu, P.L.H. (2003). SARS case-fatality rates. Canadian Medical Association Journal. 169(4), 277. Yu, P.L.H., Lam, K.F. and Alvo, M. (2002). Nonparametric rank tests for independence in opinion surveys. Austria Journal of Statistics. 31(4), 279-290. Alvo, M., Yu, P.L.H. and Lam, K.F. (2002). The use of rank correlations in contingency table analysis. In Proceedings of the International Conference on recent Advances in Survey Sampling: In Honour of Professor J.N.K. Rao, July 10-13, 2002. Yu, P.L.H. and Tam, C.Y.C.(2002). Ranked set sampling in the presence of censored data. Environmetrics. 13, 379-396. Lam, K.F., Yu, P.L.H. and Lee, C.F.(2002). Kernel method for the estimation of the distribution function and the mean with auxiliary information in ranked set sampling. Environmetrics. 13, 397-406. Yu, P.L.H. Sun, Y. and Sinha, B.K.(2002). Estimation of the common mean of a bivariate normal population. Annals of the Institute of Statistical Mathematics. 54(4), 861-878. Yu, P.L.H. and Chan, L.K.Y. (2001). Bayesian analysis of wandering vector models for displaying ranking data. Statistica Sinica. 11, 445-461. Yu, P.L.H. (2000). Bayesian analysis of order statistics models for ranking data. Psychometrika. 65, 281-299. Kwan, J.W.C., Lam, K., So, M.K.P. and Yu, P.L.H. (2000). Forecasting and trading strategies based on a price trend model. Journal of Forecasting. 19, 485-498. Yu, P.L.H. (2000). 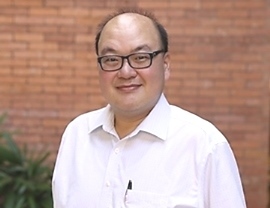 Commentary of `Pricing Hang Seng Index Options around the Asian financial crisis – A GARCH approach’ by J.C. Duan, in Research Symposium Proceedings for the 11th Annual Asia-Pacific Futures Research Symposium, held in February, 2000, 251-254. Yu, P.L.H. and Lam, K. and Sinha, B.K. (1999). Estimation of variance based on balanced and unbalanced ranked set samples. Environmental and Ecological Statistics, 6, 23-45. Yu, P.L.H., Sun, Y. and Sinha, B.K.(1999). On exact confidence intervals for the common mean of several normal populations. Journal of Statistical Planning and Inference., 81(2), 263-277. So, M.K.P. and Yu, P.L.H. (1999). The impact of Futures and Options tradings on the Hang Seng Index volatility. International Journal of Finance. 11(1), 1238-1254. Tam, C.Y.C., Yu, P.L.H. and Fung, W.K. (1998). Sensitivity analysis of BLUE of mean based on a ranked set sample. Communication in statistics, Simulation and Computation, 27(4), 1075-1091. Yu. P.L.H. and Lam, K. (1997). How to predict election winners from a poll. Journal of Applied Statistics, 24(1), 11-23. Yu, P.L.H. and Lam, K. (1997). Regression estimator in ranked set sampling. Biometrics, 53, 1070-1080. Yu, P.L.H. and Lam, K. and Sinha, B.K. (1997). Estimation of mean based on an unbalanced ranked set sample. Applied Statistical Science,II, Nova Science Publisher Inc, New York, 87-97. Yu, P.L.H. and Lam, K. (1996). Likelihood ratio test for the spacing between two adjacent location parameters. Statistics and Probability Letters, 26, 43-49. Cowan, R.J., Yu, P.L.H. and Ferguson, T.S. (1996). Restrictions on the saddle point solution in the game of teamball. Journal of Applied Probability, 33(2), 443-447. Yu, P.L.H. and Lam, K. (1996). Analysis of duplicate bridge tournament data. Scandinavian Journal of Statistics, 23, 621-633. Yu, P.L.H. and Cowan, R.J. (1995). A statistical model for duplicate tournaments in games of luck and skill. Australian Journal of Statistics, 37, 1-17. Yu, P.L.H. (1994). A simple statistical project: image reconstruction. American Statistician, 48, 30- 34. Lam, K. and Yu, P.L.H. (1994). A predictive approach for the selection of a fixed number of good treatments. Communication in Statistics: Theory and Methods, 23, 2469-2492. Lam, K. and Yu, P.L.H. (1992). Hedging performance of the Hang Seng Index futures contract. The Review of Futures Markets, 11, 447-466. Yu, P.L.H. and Lam, K. (1991). Tightness of some confidence and predictive intervals related to selection. Communication in Statistics: Theory and Methods, 20, 1401-1408. Yu, P.L.H., Gu, J. and Xu, H., Analysis of ranking data. Tian, G., Zheng, X., Yu, P.L.H. and Zhang, C., EM and MM algorithms for a class of left-truncated discrete models. Han, Y., Yu, P.L.H. and Mathew, T., Put Kelly into Practice. These glossary entries have been prepared to accompany a computer tutorial based on the book "Statistics Explained" by Professor Howard S. Hoffman. That book was originally published in 1985 by University Press of America (Library of Congress Catalog number ISBN 0-8191-4894-6). Did the Nobel prize help trigger the worst financial crisis since the Great Depression?